The Wamsler 900 range cooker - used to be called the 148 model. It is a cooking range with a big back boiler - so acts as a room heater & a cooker & runs heats the radiators & hot water too. You can regulate the boiler size by moving the fire box up and down - if placed high up it will heat 10.000btu only & if placed as low as possible it will provide the full 54.000btu to the water. You can also regulate the heat to go around the oven or not. the stove can have the oven on the right or the left side. Wamsler is a German make. 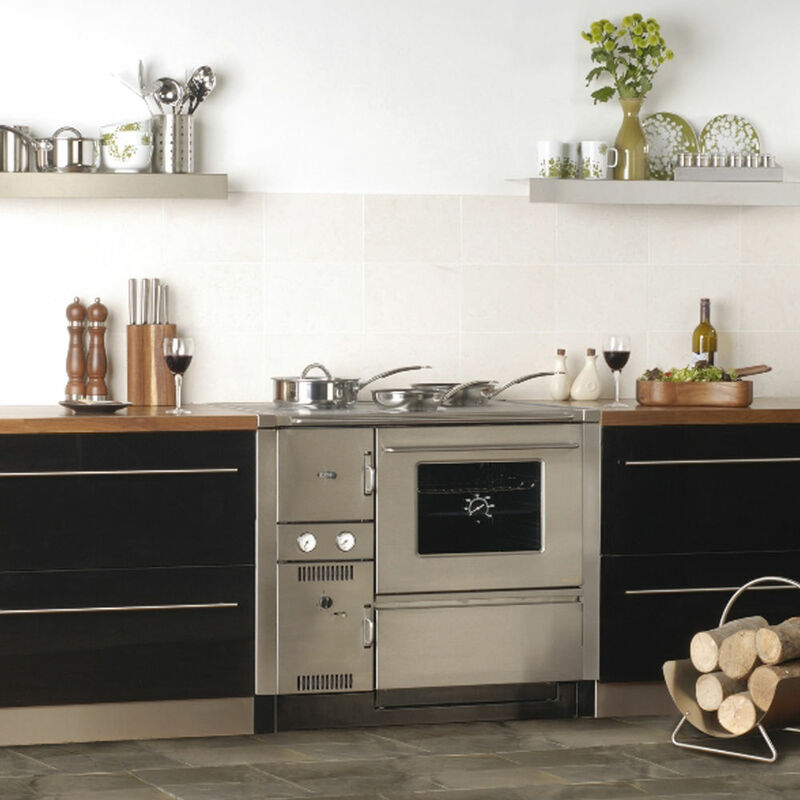 Stove expert replied: 30 years of service is very commendable for a hard working cooking range and it is still going! Excellent cooker, would deffinatly buy another one. have had Rayburns in the past but there is no comparison, this is the more efficient stove. Stove expert replied: Good review for the Wamsler range cooker. 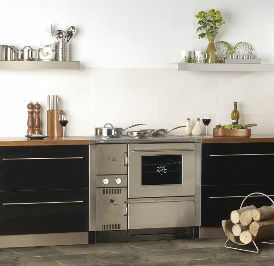 Stove expert replied: Wonderful review - a very satisfied customer and family! Excellent apart from quality of finish - we asked for a replacement damaged outer piece over 12 months ago - still waiting.